This fridary 9/25 is the one year anniversary of WaMu’s seizure by the FDIC and sale to JP Morgan Chase. This is a good time to reflect on whether things have gotten better or worse under Chase than they were under WaMu. 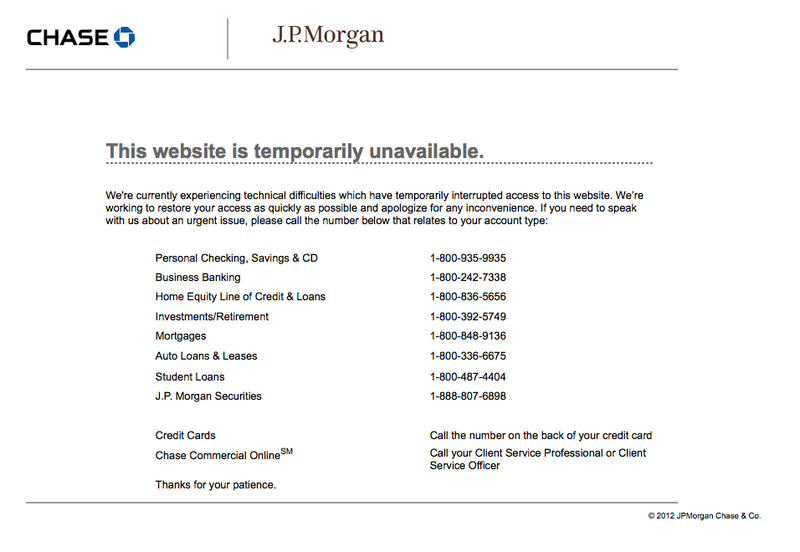 In the past year I haven’t heard a single story about a WaMu customer being pleased that their bank is now Chase. More lawsuits against Chase for revoking home equity lines. The latest one in California. Not WaMu’s money but they won’t give it back! Chase is launching the new blueprint credit card that allows you to separate and pay off certain types of purchases, such as groceries, each month (your Full Pay categories), while carrying a balance for other purchases. It gives you tools to set goals for paying off large purchases over time. Most importantly, it waves the interest between the date of purchase and the due date on Full Pay category purchases. Oh wait, my Bank of America credit card (and most other cards) already does this, it’s called THE GRACE PERIOD! Nice try Chase. There is no way around it, debit cards are dangerous – not only do you risk overdraft fees for many small charges if you banks automatic overdraft protection is in place, but disputing a charge can be infinitely harder than with a credit card. If you do have to dispute a charge, here is a handy guide. The best advice we can give you is to stay away from using debits cards for purchases. If you do need to use a payment card, use your credit card instead and pay the bill as soon as it comes to avoid fees.